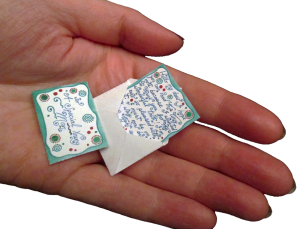 There are many beautiful Tooth Fairy letters out there in the cloud and some of the loveliest ones are very small. Fairy-sized in fact. 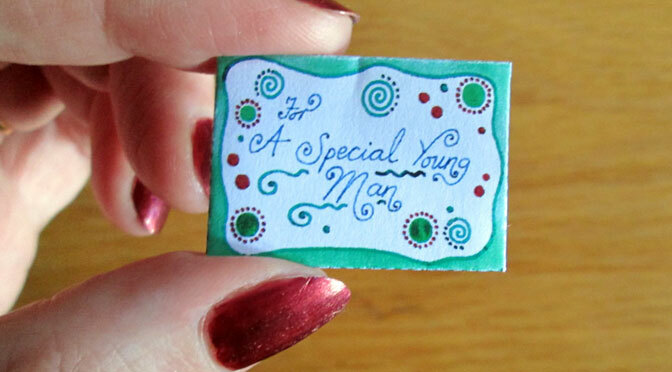 However, it can be rather fiddly to find a tiny pen (and perhaps your strongest reading glasses!) to write one yourself, so we thought we’d post a couple that are ready-written and free to print out. All you’ll need to make yours is a pair of scissors a dab of glue for the tiny envelope flaps. So far, we’ve got two letters for a general tooth pick-up and one for a first tooth. 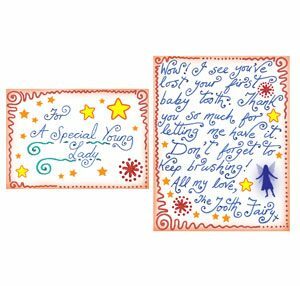 Each comes with a matching envelope for a girl or a boy – whichever you want. (They’re all below.) 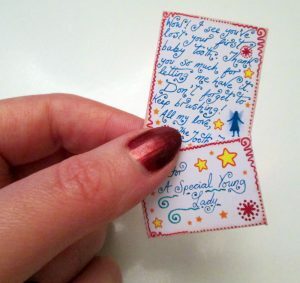 If you’d rather print a normal-sized letter instead, you can still find a range of them on our Tooth Fairy notes page. We’ll be tracking how busy this page is and if it proves popular, we’ll make more miniature letters in the not-to-distant future. 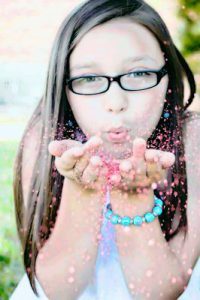 Just click on the picture of the Tooth Fairy letter you want and you’ll be taken to a PDF file to print and/or download. It’s all free but if you like these and want to support us, come back and see us soon, join our mailing list, or let a friend know. Happy crafting! 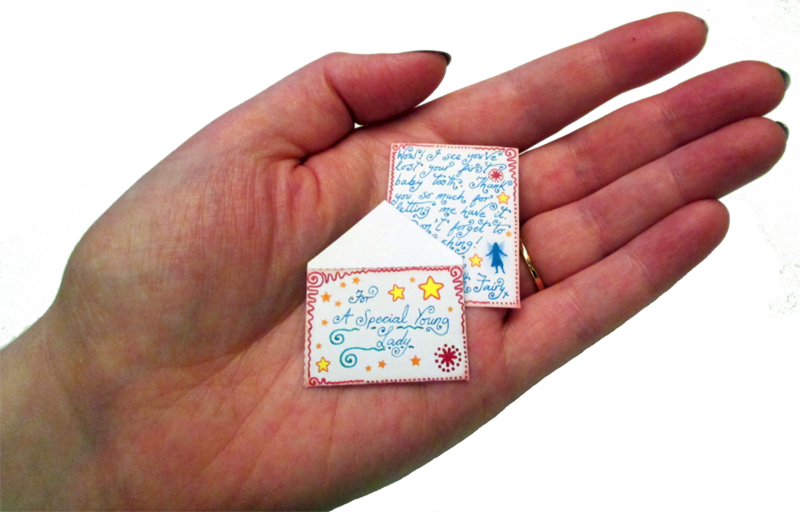 If you’re a bit of a fairy crafting fiend, dipping your tiny Tooth Fairy letter in ultra fine glitter before you put it in the envelope will make it sparkle beautifully when your child takes it out. The glitter won’t stick unless it’s the very fine kind though, like the glitter you see people using for nail art. The best place to find some is probably ebay. Also, beware, it can get everywhere and if you spill it on the carpet you’ll spot the occasional sparkle for months, in spite of your best efforts to vacuum it away. We recommend using it on a tray. 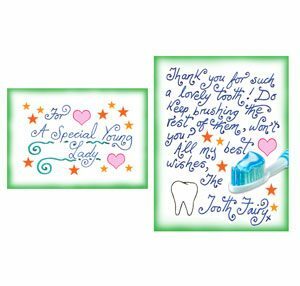 Don’t forget we also have a range of Tooth Fairy certificates you can print out – although they are human rather than fairy-sized!